After unveiling his new smartphone earlier in the day, Android co-founder Andy Rubin talked Tuesday night about his broader plan for Essential, his new consumer electronics company. The company, which has around 80 employees, is doing a phone and a home device, but longer-term Rubin says he wants to create a whole new consumer electronics brand. "It's a new brand," Rubin said, in an interview at Code Conference. "It's not just phones. You have a rare opportunity when the market is saturated." To do that, Rubin is going to need a lot of money. 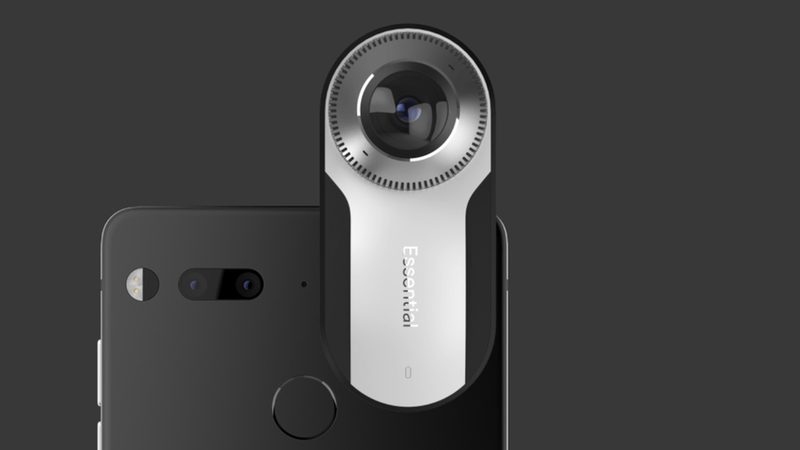 While the company hasn't said how much it has raised, Essential included the logos of several investors on its Web site, a list that includes contract manufacturer Foxconn, Rubin's incubator Playground, Redpoint, Access Technology Ventures, Tencent, VY Capital and Altimeter Capital. On stage at Code, Rubin confirmed that Redpoint and Playground were part of a $30 million early round and that the company has since raised a second round of funding. Rubin says the company has raised "hundreds of millions of dollars." He also talked about the company's plans for its other initial product, a voice-controlled hub for the home with a round screen. Why do we need a home hub? "There's too many things you have to interact with in your home," Rubin said, noting that today you need a separate app for things like smart locks and doorbells, not to mention all the different assistants. Will it support Google Assistant, Apple's Siri and Amazon's Alexa? I'm going to offer to support all of those. It's really up to the companies. ... I want to be inclusive and I want to interoperate. When will the phone ship? "Soon," Rubin said, adding that he wouldn't take orders if he wasn't planning to ship it in the next 30 days or so. The phone will initially sell via the Web but Rubin said the plan is to also sell it at retail and through wireless carriers.